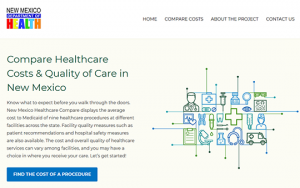 New Mexico InDepth writes: One major reform to come out of the 2015 legislative session was a law that will dramatically increase the transparency of hospital prices and quality data in New Mexico. The new statute updates the existing Health Information System Act to allow the Department of Health to release hospital-specific quality and cost information. Much of this data has been collected from hospitals for the last two decades, but the old law prohibited the Department of Health from releasing it in a way that identifies specific hospitals. Along with allowing the release of hospital-specific data, the legislation creates a stakeholder advisory committee that will determine how best to present cost and quality information—such as which quality metrics to use, how to define prices in a way that is most useful to patients, and how to make sure that patient privacy is protected. Finally, the bill directs the Department of Health to create a user-friendly public website with hospital cost and quality information that can be accessed from the state’s Sunshine Portal. This “Health Care Sunshine Portal” will be online no later than January 1, 2018. The final language of the law reflects a bipartisan compromise that brought together Senate Bill 323 and Senate Bill 474. Senate Bill 474 included recommendations from Think New Mexico’s 2014 report “Making Health Care More Affordable,” most importantly the creation of a user-friendly health care transparency website. 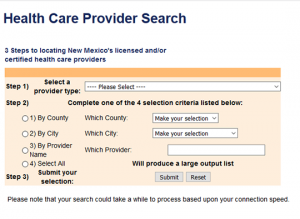 As Think New Mexico noted in its report, 14 other states, including Colorado, Arizona, and Utah, have already created health care transparency websites, and another five states are in the process of creating them.